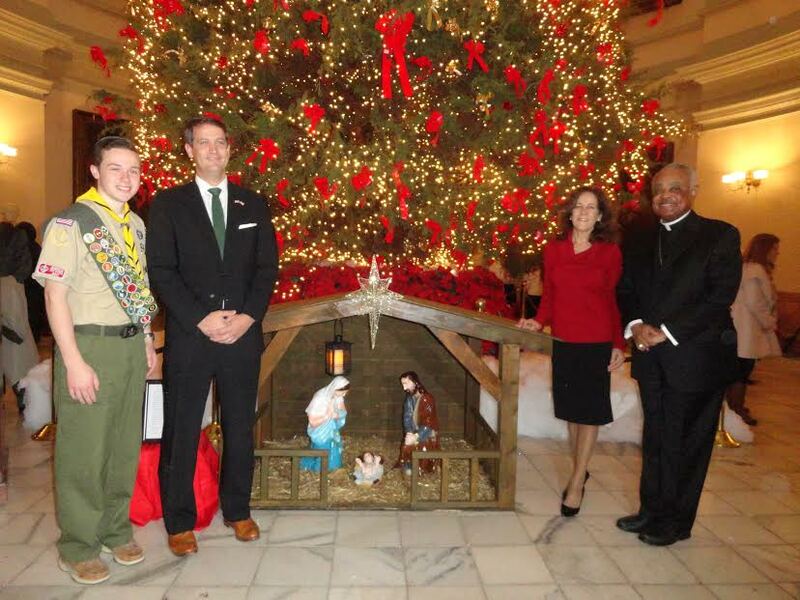 This creche, located in the rotunda at the State Capital building in downtown Atlanta, GA., was dedicated yesterday December 23, 2014 by Archbishop Wilton Gregory (on the right). It was built by Eagle Scout Patrick Smith (on the left) for an Eagle Scout project. Religious exhibits like this are allowed in public places. Patrick needed some advise on how to build the creche, so he came over to the shop and we sketched up a plan and steps to follow, and a materials list. I didn’t do any of the actual work, but I was happy to help any way I could. Patrick is a terrific young man. Read his letter, it’s really cool!